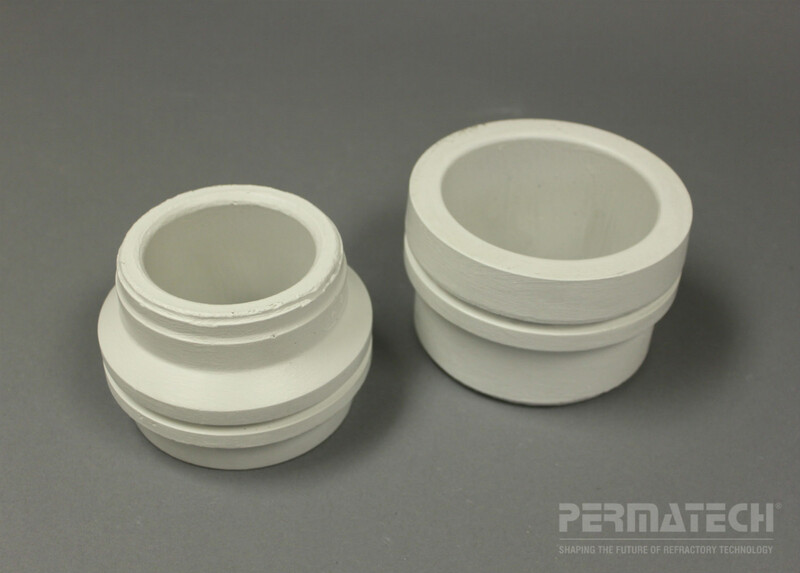 Permatech has the necessary design, engineering and manufacturing expertise to produce precision cast Thimbles, Transition Plates and Table-Top Troughing to conform to your specific needs for the Billet Casting Industry. • Our Billet Cast products are prefired to a high temperature before use. • They are less porous than board products, do not retain residual moisture and will not out gas in service. Permatech has the necessary design, engineering and manufacturing expertise to produce a complete reline for your Table Top Trough System that will conform to the specific assembly desired. 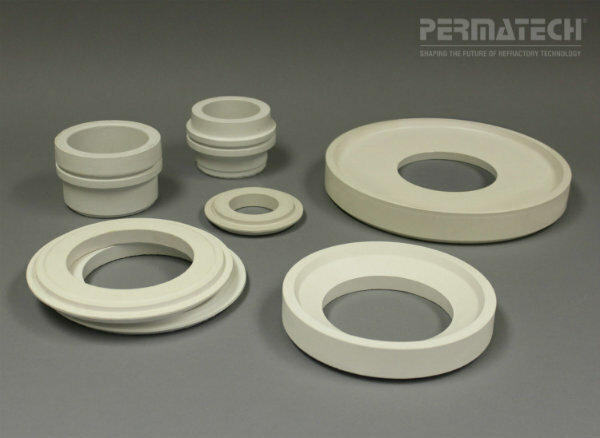 Permatech's fused silica thimbles are inert to molten aluminum and its alloys and offers high-strength even at elevated temperatures. Permatech thimbles are engineered to OEM specifications to assure precision cast parts for both horizontal and vertical table designs. Non-sticking and Non-shrinking properties, Precise Geometry, Low Thermal condition, Designed to exact OEM specifications, Smooth interior reduces buildup, and Easy to maintain. 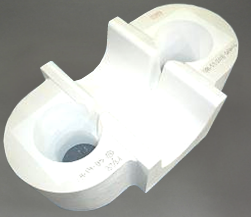 Permatech provides a breakthrough for reducing billet casting cost. We have introduced PermaPlate, the new critical mold component for reducing casting scrap and shortening casting pit turnaround time. 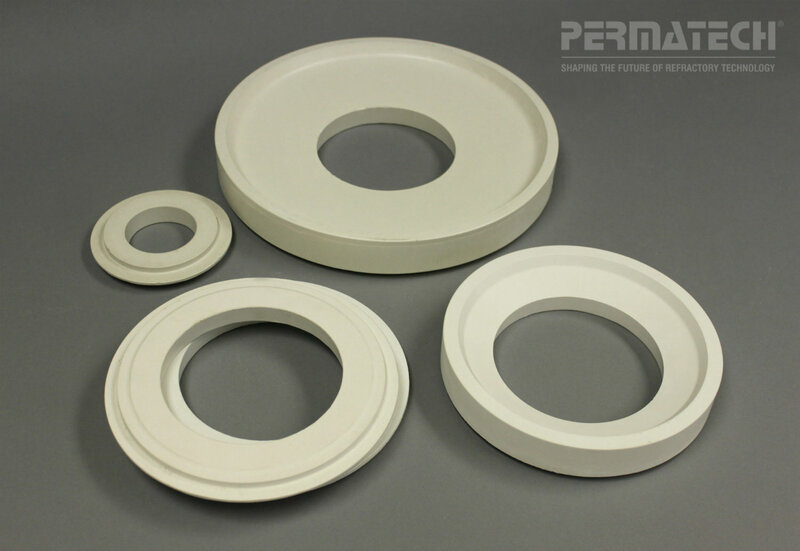 As the original developer and leading producer of precast ceramic transition plates, Permatech has taken the performance of transition plates to a higher level. 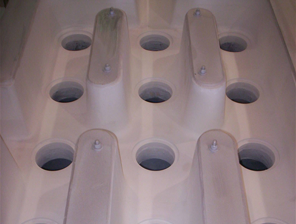 Permatech has the necessary design, engineering and manufacturing expertise to build a Trough System that will conform to the specific assembly desired. Any size, shape or configuration is possible.